Now for the next issue, the Justice League International finale. 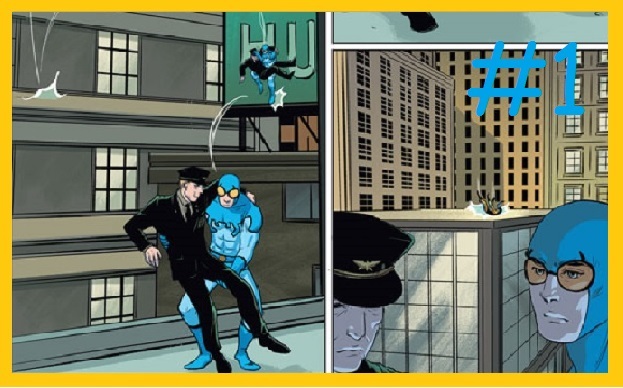 They should have renamed this one to “Convergence; Blue Beetle” because he’s the only one to get any focus. That was my main problem with last issue, and they upped that this time. Last time the Kingdom Come heroes arrived and prepared to fight. Now it’s a fight between the underdogs and the combat hardened heroes. I wish I could say that but there is no fight in this issue. 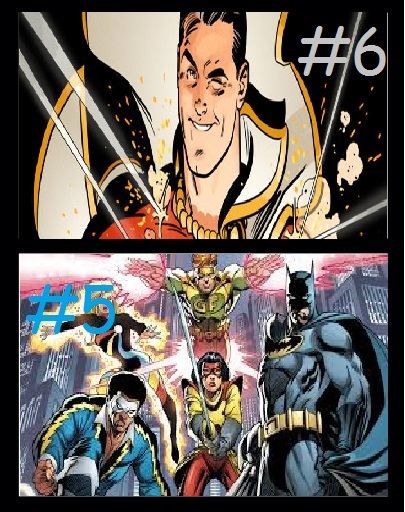 The two teams charge at each other, then we cut to Ted and the Kingdom Come Blue Beetle meeting up. Neither want to fight, so they run off to find Telos. This is a great sequence, where both Beetles try to make jokes but the other already knows the punchline. 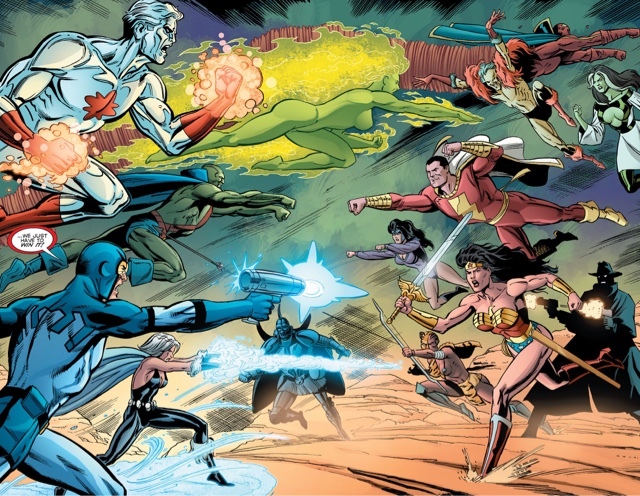 They fail to find Telos and return to the battleground, where the JLI have all been defeated. Yeah, they are all defeated off panel which makes the scene where they get their powers back useless. Also the solicit mentioned how we might never see Martian Manhunter or Ted again but I don’t think Martian Manhunter even speaks in this issue. I only give points to this issue for it’s ending, but even that feels like pandering by Ron Marz. I’d skip over these two, which is sad because the cover art is some of the best of the event. 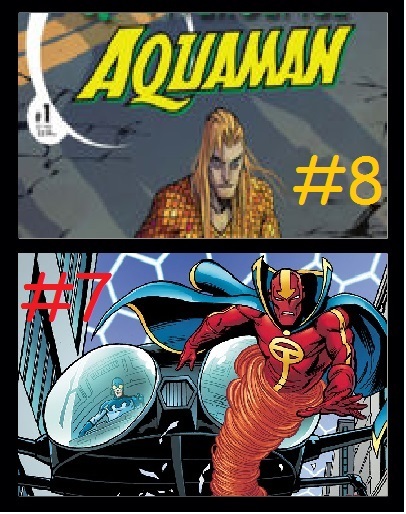 Time for part two of April’s comic rankings. And that’s the end for April. Hopefully the second issue of these are better or just as great in some cases. We begin on the streets of Metropolis where Metallo sends out his army of Metallic Men to take over the city. The JLI show up and begin to fight the robots. 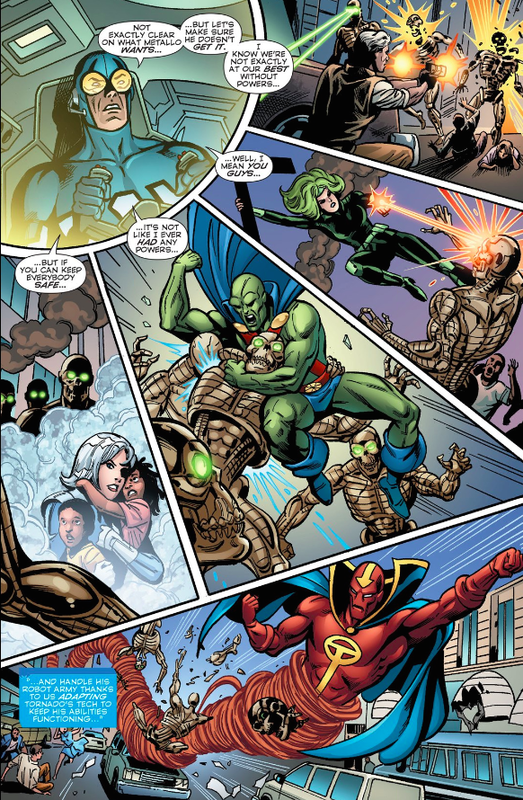 The group has lost their powers so J’onn is fighting like a wrestler, Atom is using a gun, Fire has wrist lasers, and Red Tornado actually has his powers because they adapted his tech. 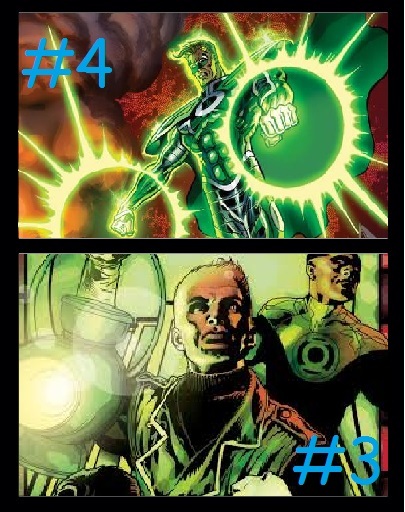 Metallo shoots Beetle’s vehicle, the Bug, and then jumps into it to grab Ted. Ted is making jokes to distract Metallo as he pulls out a taser device he made which he stuns Metallo with and shuts down his army. They return to the JLI headquarters, where Beetle reveals his arm was broken during the fight, but he has to fix the Bug. J’onn goes with him and they discuss the current events of Metropolis. Ice calls them back up to the roof where Telos begins the familiar speech. Everyone’s powers come back and Beetle mentions how he doesn’t want to fight and be a puppet of Telos. He tries to think of another way when the sky turns dark and the Kingdom Come heroes fly down in silhouettes. They reveal themselves as Wonder Woman, Shazam, Obsidian, Nightstar, Jade, Huntress, Blue Beetle, and Creeper. Beetle notices how strong they look and decides the only thing left to do is fight, as he roars and removes the cast, ending the comic. Final Thoughts: Another great issue of Convergence to round out this week. Seeing Ted take the leadership role was unexpected, but still enjoyable. 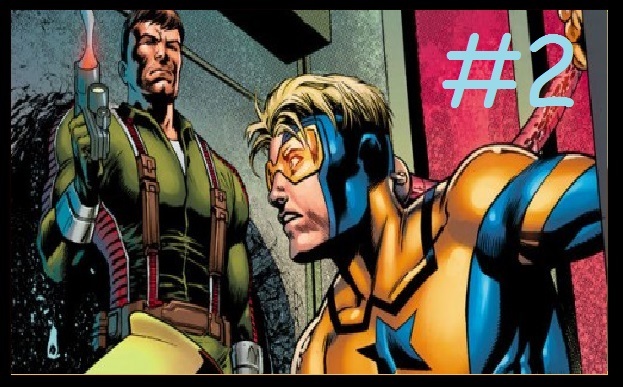 When he’s fixing the Bug and remarking on how hard it’s been, especially without Booster, you can see his sadness. The fight scene with Metallo is nicely drawn, with a smart ending considering the theme of technology Beetle has. 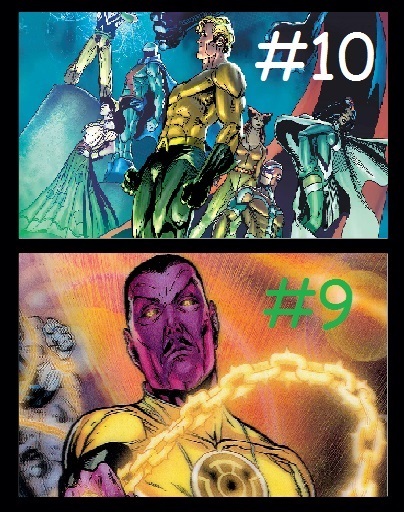 The only downside is how little the other members are shown, with Red Tornado getting only one or two lines. Also Ted looks like Reed Richards when he wears goggles while fixing the Bug. Final note, the cover is amazing.